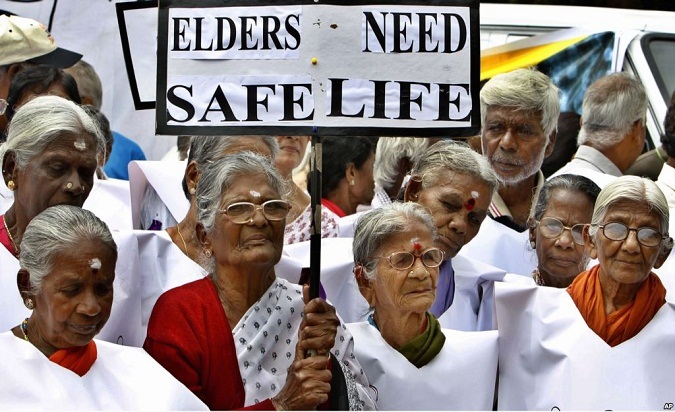 According to the United Nations Population Fund (UNPF) and HelpAge India, the population of senior citizens in India is expected to reach 173 million by 2026, and they will constitute one-fifth (20 percent) of country’s population pie by 2050. Parallel to their growth, their problems are also increasing simultaneously in the changing cultural scenario and loneliness is one of the most terrifying aspects of their life. One of the main causes of stress and depression in millions of elderly people, who often live alone or with the spouse, is absolute poverty and distress. Apart from all these touches of melancholy, lack of income security and access to quality healthcare make their life more vulnerable and fragile. Quite often, they tend to give up, withdraw themselves, doubt their own abilities and easily become victims of negativity, frustration, helplessness, and begrudging attitude. They give up all hope and courage, forgetting that hope is their ultimate power, it is a lifeline for all humans and just as oxygen is must for us to survive, hope too is important in our life to live and grow happily and healthily. Therefore, losing hope is suicidal. We need to behold and cultivate hope in our life and we must also inspire others for embracing hope, especially to the Senior Citizen’s Community. Rather, a positive mental approach can lead the life onto a progressive track. First of all, they have to concede that life after retirement is the Third Stage of our Life and it is the most precious and important aspect of one’s life. We must treat it as our “Third Youth” and should live it joyfully to the fullest extent. In fact, the status of Senior Citizenship should be treated as a “Badge of Honour” with the utmost respect and dignity. However, in reality, old age is perceived differently in our society. The general feeling about old age is very gloomy and self-defeating. Due to fast-paced life and growing livelihood challenges, families, especially in large cities, are unable to pay adequate attention to the aged members; parents and grandparents. Eventually, they become the victim of loneliness and depression. 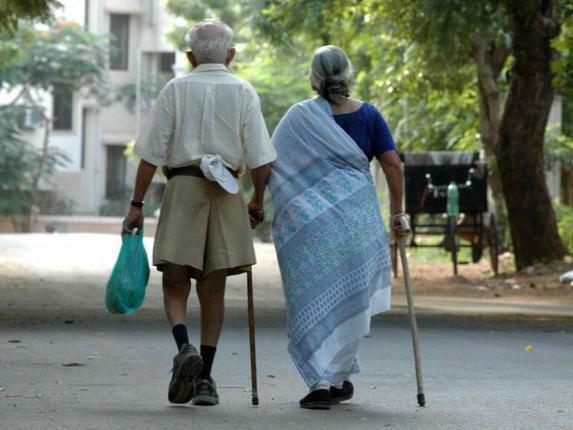 It is really unfortunate that more than 50% of parents in their old age are living a miserable life; lonely, isolated, and without any care or support from their children and relatives. Parents who spent their whole life in raising their children, taking care of their education, using all their hard-earned money, time, and energy to make them capable of living a comfortable and joyful life. It is really painful that many such parents are forced to live a life full of negativity and acute frustration which is a grave situation and a matter of serious concern for the government and society as a whole. Let us try to understand as to what is the root cause of this problem which is spreading like an epidemic in our society. Probing a little into our social system you would find that the genesis of this problem lies in the fast changing lifestyle, rapid modernization, urbanization, cut-throat competition, mad rat race for jobs/careers, and desire for becoming rich overnight. These incessant material desires have resulted in breaking and destroying the rich old joint family system. Families are getting divided into smaller units and people are moving in large numbers from rural areas to urban city centers. All this has forced the old-aged parents to live alone and isolated life without any support from the children. The emotional attachment of parents and children is diminishing very fast and ethics and values are the victims of this rat race. Our education is also a big contributor to creating this mess in our society; it has failed to create values and happiness in the lives of the people. Irrespective of their age, people are becoming increasingly bankrupt, emotionally as well as spiritually. Money has become the prime focus of the present generation in the absence of humanistic values and character building. Children no more have any respect or gratitude for parents, teachers, and elders. The increasing incidences of violence in schools, keeping and using arms at a tender age and injuring the fellow students and teachers, these are the matters of serious concern for the government, policymakers, and educational experts. An ancient Buddhist scripture, “Sutta Nipata,” states, “Though being well-to-do, not to support father and mother who are old and past their youth- this as one’s downfall”. Means, those who do not care and support the aged parents when they need the most are bound to suffer and face their downfall. Aging societies can flourish only if they embrace the ethos, give high respect to the elders, and spend quality time with them. We shouldn’t forget that every human being is respect worthy and must be treated with utmost reverence. Every person is born to live a life of hope, joy, true happiness and dignity. We should all make honest and sincere efforts to promote these values in our society. We must inspire and encourage our children and youth to help and support elderly people by sharing their time, money, and happiness. On the other hand, we encourage our senior citizens to realize their own and unique potential and share it with society. No doubt, dejection is a serious problem for them, but it shouldn’t be considered as the part of fate. Life can be moulded in a better shape with positive thinking and hope. Elderly people can definitely live a happy, healthy, and long life by looking ahead and striving forward courageously with a positive attitude towards everything they come across in life.